I have received an email from one of our customers asking if there is any way to use a mobility scooter in the snow? 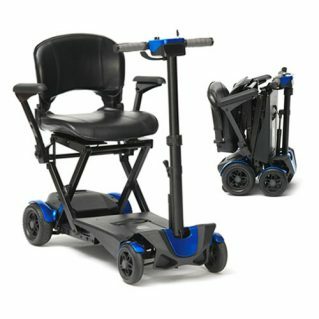 This conjures up many mental images, mobility scooters with snow chains, 4×4 mobility scooters, scooters with skies strapped to the front wheels. The majority of mobility scooters are rear wheel drive, so the rear of the scooter will tend to slide sideways. Do not go out in the cold unless absolutely nessesary. Keep your Mobility Scooter in the dry, in a shed, garage or under cover. Before storing your Mobility Scooter for long periods, ensure the tyres are fully inflated as flat tyres will crack, and fully charge your battery. Place a blanket over the motor and battery end of the Mobility Scooter, to prvent condensation and the battery from freezing. Remember to charge your scooter for at least 12 hours (over night) once a month, while you scooter is in storage. This will top up the charge and help to preserve your batterie’s life.